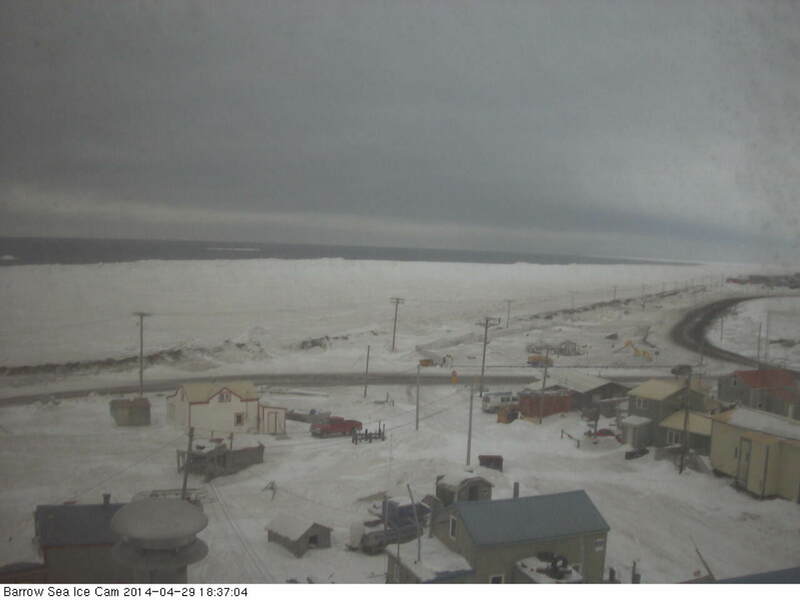 Over the past week, large melt ponds emerged off the coast of Barrow Alaska. These ponds formed after successive days of ‘warm’ weather with highs ranging between 40 and 65 degrees Fahrenheit. Constant sunlight and above-freezing temperatures in this region have also contributed to the formation of numerous smaller melt ponds and large holes in the sea ice. Break-up of sea ice off Barrow usually occurs in early to mid July and is characterized by off-shore ice moving parallel to the coast. On the films provided by the Barrow Ice Cam site, sporadic ice motion was visible during a number of days over the past week. So it appears that ice break-up is currently ongoing, if not quite complete. If confirmed, the break-up at Barrow for this year will be a few weeks ahead of schedule. Between February and March of this winter, powerful off-shore winds drove ice away from the coast even as it created an upwelling of warm water currents from beneath. The result was a rare appearance of open water during winter. 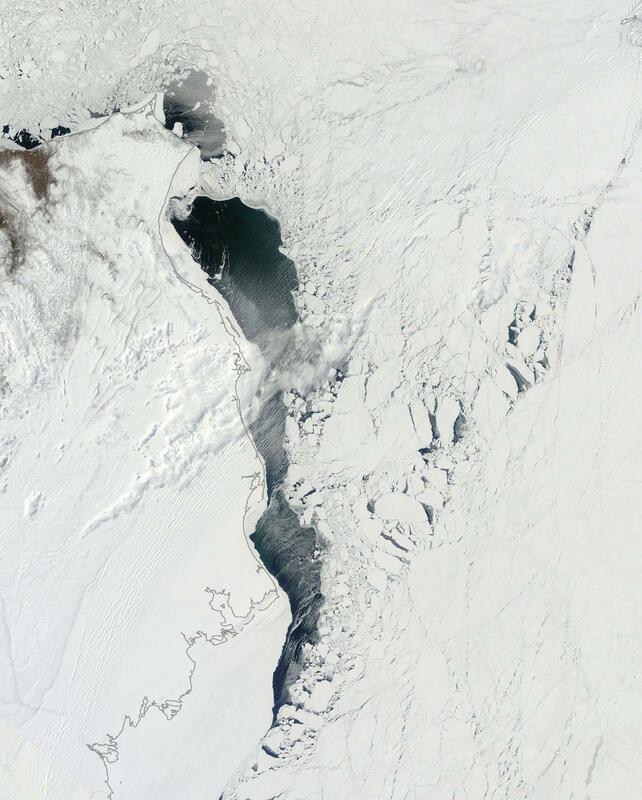 But freezing temperatures and an abating of the winds caused the sea ice to rapidly return and re-freeze. The current melt is well under-way and will be far more permanent than the brief opening of water that appeared in March. 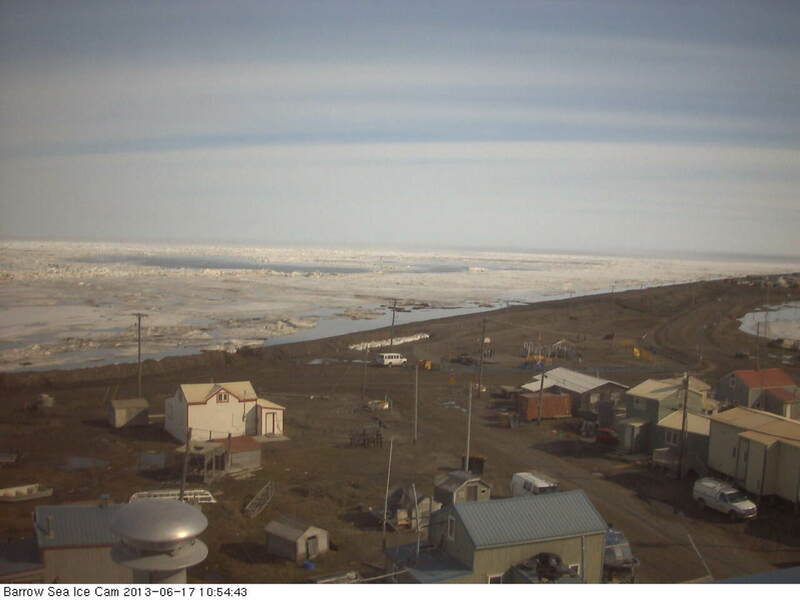 The ice near Barrow has suffered a long pummeling from sunlight and above-freezing temperatures. Now it appears ready to relinquish its grip on this frozen city, if only for a brief time.